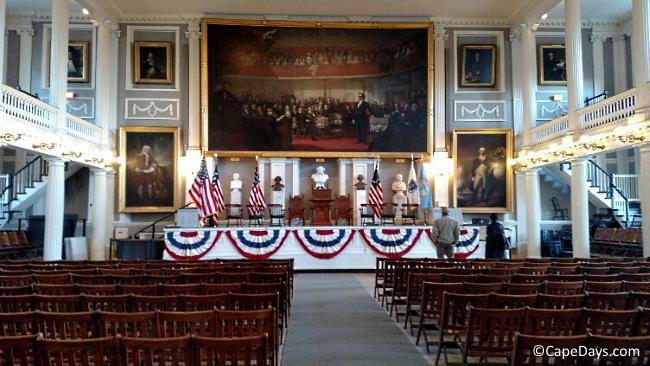 An inexpensive Cape Cod family vacation? Is there such a thing? Absolutely! 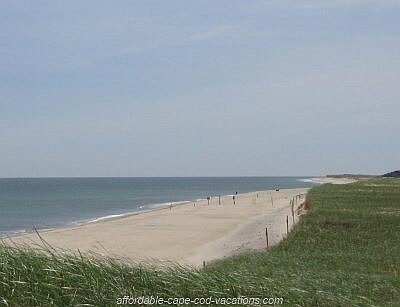 With less than $1,000 in your vacation budget, your family can easily have a fantastic week-long getaway on Cape Cod MA. Let me show you how. For this sample itinerary, I've chosen the scenic, centrally-located town of Brewster as your vacation home base. 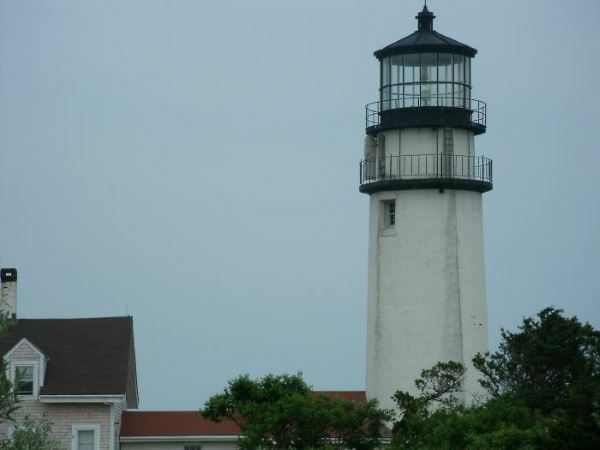 Note: As you'll see below, you can have an amazingly wallet-friendly vacation in other Cape Cod towns, too, without sacrificing any comfort or fun! For a super-affordable place to stay, you can't beat camping at Nickerson State Park. 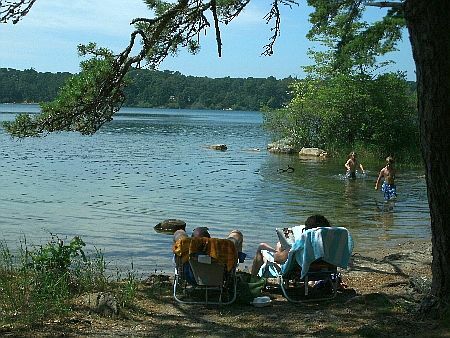 Covering more than 1900 acres of woodlands, fields, and freshwater ponds, Nickerson is (in my humble opinion) the premier state park in Massachusetts - and perhaps in all of New England. At Nickerson, it's all right there for you. 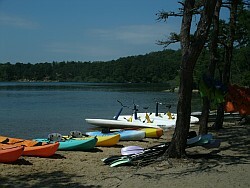 Swimming, boating, fishing, miles of walking and bike trails, plus lots of free family activities. All in one of the prettiest settings you can imagine. For around $30 a night, you can pitch your tent or set up your camper on one of 400 wooded or pond-view sites. If you're able to up your lodging budget somewhat, Nickerson also has furnished 4-person and 6-person yurts. To be sure you don't miss out, it's a good idea to make reservations as soon as you decide on your vacation dates! No spots available at Nickerson for your vacation dates? "Self catering", as our British friends so delicately refer to cooking your own meals, definitely keeps vacation food expenses down. But come on - this is a vacation, after all. In my humble opinion, vacation isn't vacation without a few special meals to sample the local fare. I've included the cost of a lobster feast for the whole family in your Cape Cod vacation budget. From Nickerson State Park, several supermarkets are only a few minutes away. Call or stop by, order your lobsters, and they'll cook 'em up for you to take out. Grab a few sides like corn on the cob, potato or macaroni salad, and crusty bread. You'll be all set for an extra-special Cape Cod picnic dinner! Without blowing the budget you can easily have a few restaurant meals ... like lunch at Cobie's, my favorite lunch stop on the bike trail near Nickerson State Park. Try Cobie's fresh fish sandwich. It's lightly breaded and fried, served on a soft roll. Soooo good! The sweet potato fries are to die for, too. If you're driving instead of biking there, you'll find Cobie's on Main Street (Rt. 6A) in Brewster. You can't miss it. 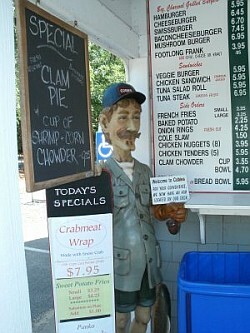 Look for the statue of the namesake, holding up the "Today's Specials" sign. In many other popular summer vacation destinations, the cost of entertainment takes a big whack out of the family vacation budget. But not on Cape Cod! Just a short bikeride from Nickerson State Park are some gorgeous Cape Cod Bay beaches, including the one in this photo - Linnell Landing. 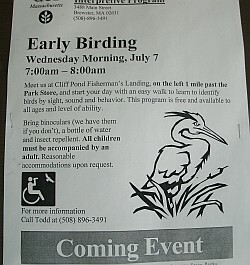 As you can see, Linnell Landing is more than just a lovely stretch of sand - it's a handicap accessible beach, too. 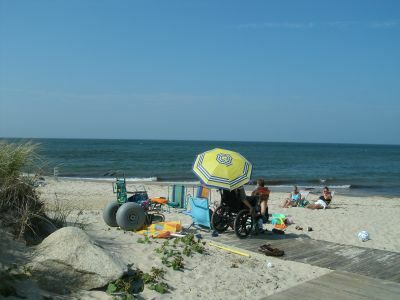 During the summer months, non-residents need a special sticker to park at the saltwater beaches in Brewster. There's no fee to walk or bike in. Nickerson has a full lineup of free summer family vacation programs, including birdwatching, guided hikes, geocaching, and lots more. If your family isn't all that keen on "organized" vacation activities, you'll still find plenty to keep you busy around the park, at absolutely no charge. Are you into fishing? I've heard that the park's Cliff Pond is a good spot to wet a line for smallmouth bass. I can't vouch for that personally, as I'm a saltwater fishing girl. But I'll take the freshwater guys' word for it! 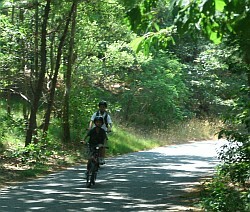 For family fun on wheels, Nickerson has 8 miles of bike trails in the park that connect to the 22-mile long Cape Cod Rail Trail bikeway. The Rail Trail runs all the way out to Wellfleet on the National Seashore. Ride as far as you'd like, stop along the way for a picnic, and explore the area! Question: What do these famous Major League baseball players all have in common? 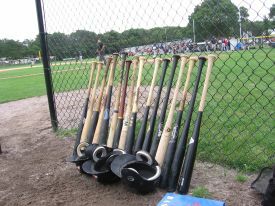 Answer: Before they became famous, they all played in the Cape Cod Baseball League - the premier amateur summer league in the country. Catch a Brewster Whitecaps home game at Stony Brook Field, and who knows ... you might be lucky enough to see a future MLB Hall of Famer in action! Best of all, there's no admission charge to attend the games. Donations are appreciated. We usually give $10 when they pass the hat, but you can certainly feel free to give more or less. It's entirely voluntary. Brewster's Cape Cod Bay coastline is gorgeous, no doubt about it. But there's nothing quite as spectacular as our Atlantic Ocean coastline with it's huge expanses of dune-backed beaches and crashing surf. It's only about a 15-minute drive from Nickerson State Park to Nauset Beach - a big, beautiful Atlantic Ocean beach the neighboring town of Orleans MA. Whether you take a spin down to have a quick peek and dip your toes in the water, or you decide to spend a whole day there, a visit to Nauset Beach should be at the top of your Cape Cod family vacation "must do" list"! Liam's, the snack bar at Nauset Beach, serves up the best onion rings known to mankind. 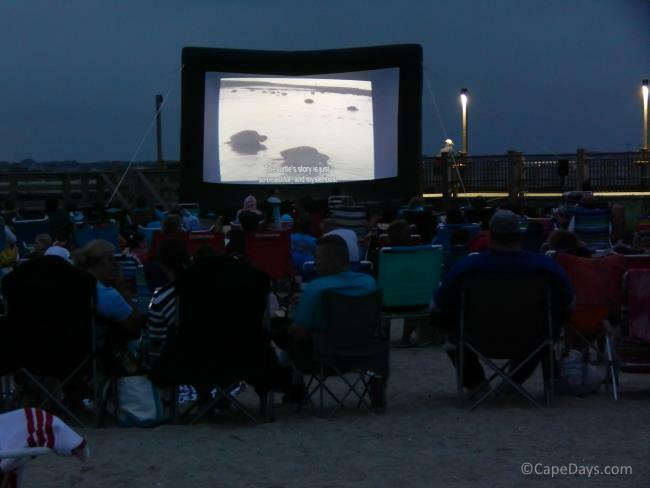 And on Monday and Thursday evenings in July and August, there are free family-friendly concerts at the beach gazebo. Factor a bite to eat at Liam's and a $20 daily Nauset Beach parking fee into your food and entertainment budget. You'll be glad you did! Believe it or not, you can actually slash your lodging budget to $75 a week and stay right on the shoreline - if you have a self-contained camper that's equipped to travel oversand. Find out more, here. 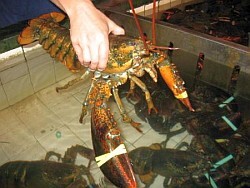 For Cape Cod seafood extravaganzas "on the cheap", don't buy it - catch it! Bring your fishing rods and go surfcasting. Take the family on a clam digging adventure. For the very modest cost of a saltwater fishing license and a shellfishing permit, the whole family can have tons of fun catching a delicious meals! Be sure to check out my Activities and Events pages for lots more free entertainment to keep you busy all week long. Have a wonderful Cape Cod family vacation! ** Important: Lodging, food, activity, and event providers may change their rates, discounts, special offers, promotions, services, amenities, dates of operation, availability, etc. at any time, without notice and without my knowledge. Before you make any travel plans, be sure to visit the provider's website or call the provider directly to verify all details!